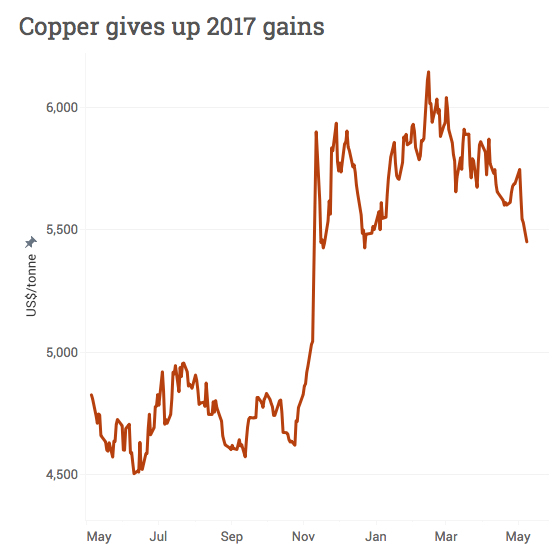 In February copper hit a 21-month high on the back of optimism that Donald Trump's $500 billion-plus infrastructure plan would add fuel to the fire of Chinese economic stimulus already working its way through commodity markets. Any US stimulus now appears further in the distance and over the weekend it also became apparent that Chinese support for the sector is waning as imports of the metal, widely used in the construction, manufacturing transportation and power industries, decline sharply. The price is now back to where it started 2017 with copper futures trading on the Comex market in New York falling more than 2% from Friday settlement trading near its day low of $2.4725 per pound ($5,450 a tonne) in lunchtime dealings. Copper is down more than 7% in the past week. 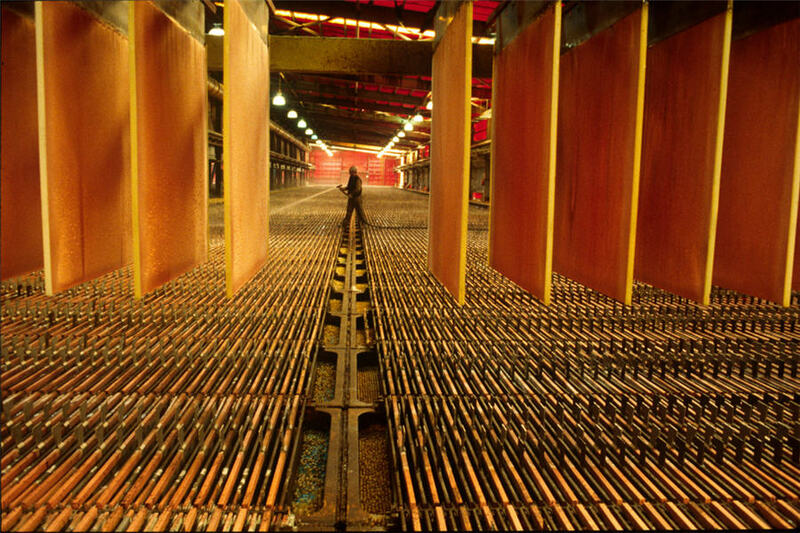 Official customs data from China, responsible for some 45% of global copper consumption, show the country's refined copper imports in April dropped by 30% to 300,000 tonnes compared to the previous month. Year-on-year import volumes fell by a third. For the whole of 2016 imports were at record levels of 4.95 million tonnes. Concentrate imports declined by 16.6% to 1.36m tonnes in April from the March total, but is still nearly 8% higher than the same period last year. 2016 was a banner year with volumes gaining 28% over 2015 hitting an all-time high of 16.96 million tonnes for the full year.